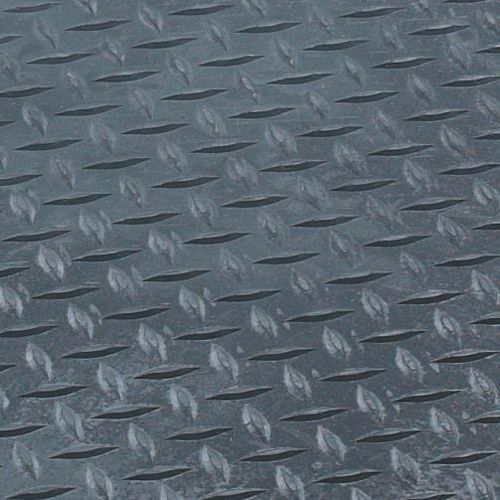 Slip resistant diamond chequer plate surface design. Ideal for industrial work areas, assembly lines, packing stations, behind shop/bank/ticket counters, etc. Tiredness at work can be a dangerous thing as it causes a lack of concentration and it occurs more often when an employee is on their feet all day. Our anti-fatigue chequer matting can help tackle this issue by providing superior underfoot cushioning reducing strain on employees' bodies while working on their feet. 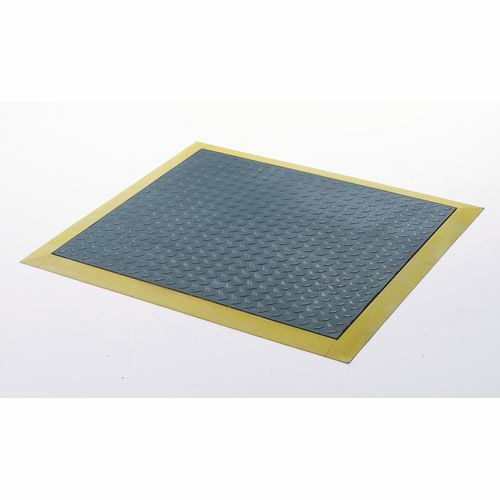 They have a slip resistant diamond chequer plate surface design giving excellent grip and are ideal for assembly lines, behind shop/bank/ticket counters, industrial work areas, packing stations, etc. The thickness of the matting is 12mm and they have bevelled anti-trip safety edges to prevent people from falling over. There are two colours to choose from; black or black with yellow edges and three types to choose from; individual mat, interlocking mat centre section or interlocking mat end section to enable you to create a mat to suit your company's requirements. Our anti-fatigue chequer matting helps to prevent your employee's from straining their bodies and becoming tired during work; they are sold in packs of two, have a 12 month guarantee and FREE UK Delivery.